One of my friends recently sold her house and the folks who bought her place in the country contacted her shortly after the closing, voicing concern over an odd noise that the washing machine was making. My friend had had no intention of duping the buyers and graciously offered a monetary amount to compensate for any repair that might need to be done. Though inspectors go through a place before a sale closes, I’m pretty sure their job is confined to structural things. What if instead, home inspectors showed up carrying a basket of their dirty clothes to be washed and dried? 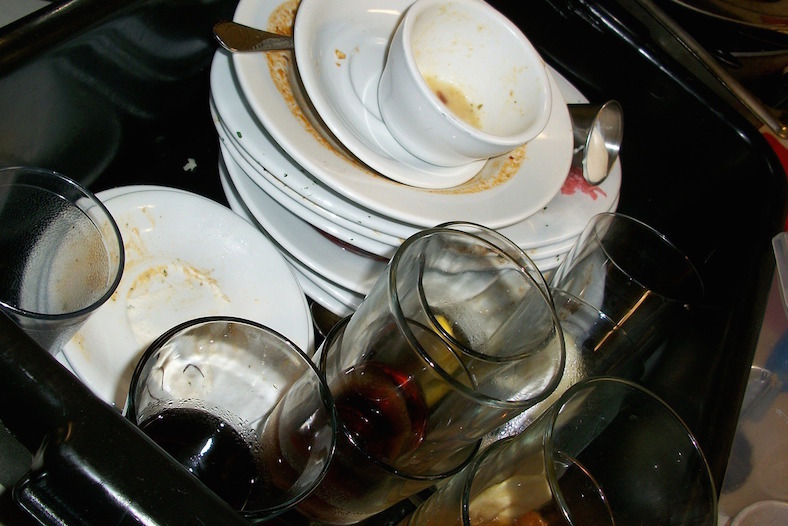 Or maybe a bunch of dirty plates and cups from their last big dinner, to run through the dishwasher? If they played their cards right and scheduled carefully enough, those inspectors might never have to personally buy any big appliances of their own.